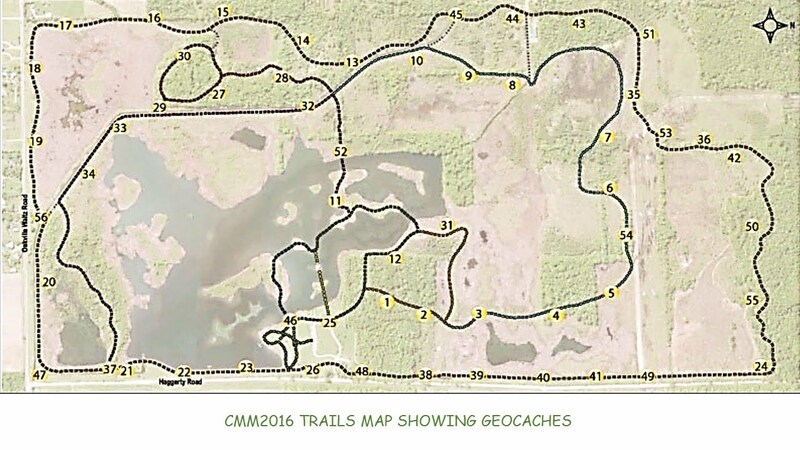 The Crosswinds Marsh Meanderings 2016 is a Geocache event and Geocache series held in conjunction with Hobby Day being presented by the Wayne County Parks at the Crosswinds Marsh Wetland Interpretive Preserve. Mark your calendar now for Saturday August 13, 2016. Remember, there are no entrance fees at Crosswinds Marsh! Keep checking back here for more news and information. While discussing Crosswinds Marsh Meanderings 2016 with the park staff the subject of Cache In - Trash Out events came up and they were very enthusiastic about the concept. It was suggested that that might be a good event to associate with their Naturefest scheduled for June 25, 2016. 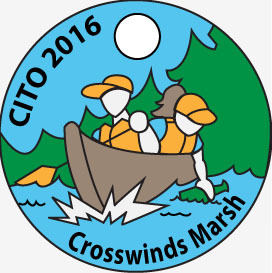 So, the Crosswinds Cache Crew started developing plans for a CITO event for that day. The event is now scheduled as GC6E640. We believe that it will be a unique CITO event because some of the trash retrieval will be from the shores of islands in the marsh reachable only by canoe. No personal watercraft will be allowed on this event or any other day but for this event canoes will be provided by the park. We will be meeting at the parking lot at 11:00 AM. Volunteers will receive a special PathTag and be entered into the FTF drawing for the ten new caches publishing that day. The event will end at 12:30, however be sure to stick around and enjoy the park's Naturefest activities that afternoon. A link to a web page with quick links to the new caches may be found HERE. ...and a very good time was had by all! There will be a series of 12 new geocaches launched at the CMM 2016 event and published the next day. Attending geocachers will be provided with the new caches' coordinates and information. A special PathTag will be available for those that log finding all 12 caches in the series and enter the code numbers into an online form. Several additional geocaches will also be launched at the event adding caches of various types and level of challenge. The 12 caches in the 2015 series will also be available during the event and will be archived and removed at the end of the day. The 2015 PathTag will be available at the event for those that finish the 2015 series and submit the codes before the end of the event. The Quick Link to the caches in the 2015 series may be found HERE. 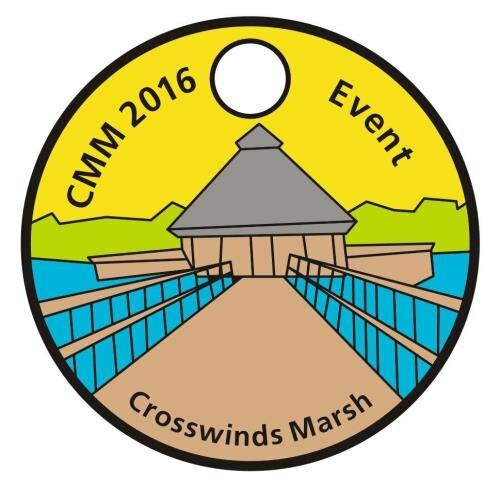 Crosswinds Marsh Meanderings 2016 also has a face book page! Have you ever wanted to try birding, geocaching or kite flying? Hobby Day is all about trying something new! We will have instructors on site to help you try a new hobby! Directions: I-275 to Exit 8 (Will Carleton Rd.). Will Carleton/Oakville Waltz Road West to Haggerty Road. Take Haggerty Road ½ mile North to Crosswinds Marsh entrance. The Geocache Event which is scheduled in association with Hobby Day now has its Geocache Event cache page published as GC6JE37. Follow the link to the Event Page and learn about the event schedule and activities. 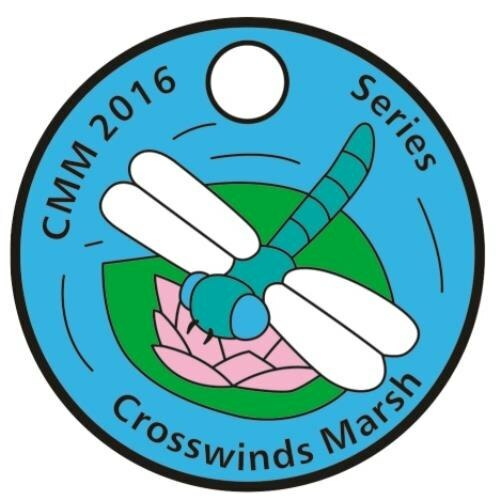 Two PathTags will be associated with Crosswinds Marsh Meanderings 2016. The first will be presented to all of those that attend the event. The second will be for those that find all 12 special nature caches. Each cache will have a three digit code number in the lid and these must be entered into a special ONLINE FORM. If the series is not completed at the event instructions will be e-mailed as to where to send a self addressed and stamped envelope to receive their PathTag. About 20 contestants entered their flag where their GPS device was telling them where ground zero was. The winner was mikey87290 about 18 inches away and 2nd closest was commander overlord at about 5 feet. 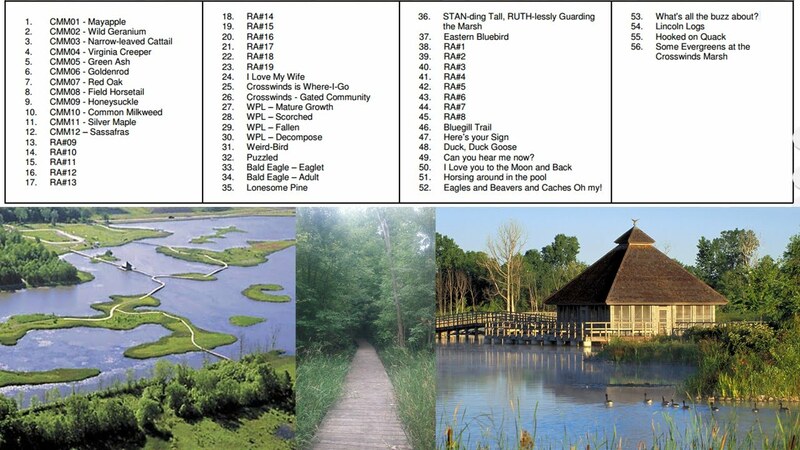 Click on the map to enlarge then copy, print and bring along with you to the marsh. Check out Crosswinds Marsh Wetland Interpretive Preserve's Facebook page. This site is owned and maintained by the Crosswinds Cache Crew . Questions and comments may be submitted through their profile.